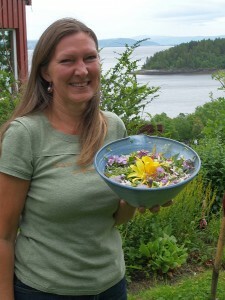 The First World Fantasy Salad Competition – Fantasilater | Edimentals ! Inspired by my multi-species salads, which were in turn inspired by multi-species traditional dishes from the Mediterranean countries, Aiah Noack and team at Grennessminde – Det Økologiske Gartneri (The Organic Nursery) just outside of Copenhagen, conceived what she called Fantasilater (Fantasy Salads). They arranged the first competition between 3 Danish chefs in August 2014! I helped out as external consultant and on the day took part as the chief competition judge, and in that capacity overturned the verdict of the public vote! :) The winner was Casper Sundin who, as part of his award, will receive an edible flower bed of up to 75 m2! 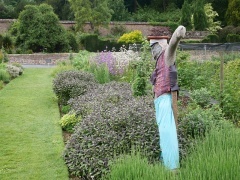 The chefs first followed me around the beds and I told them about the plants and how they are used. 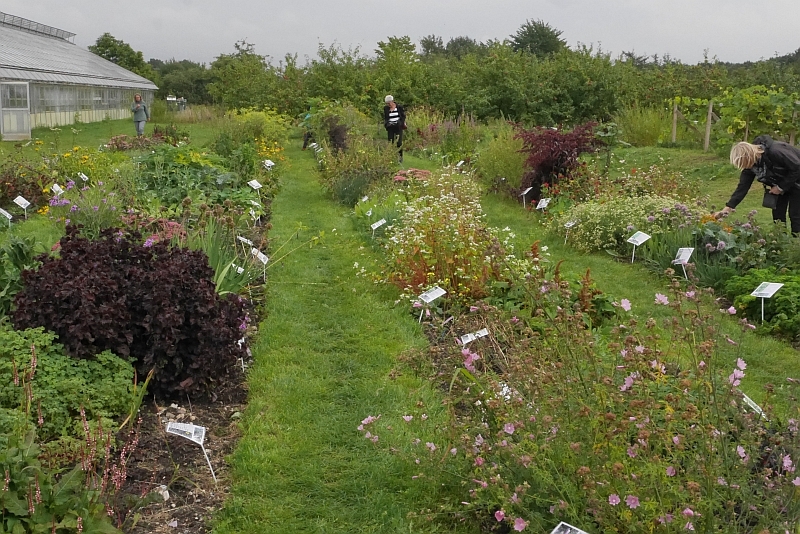 They were then told to make a salad with at least 80 species collected by them from the Fantasilater beds and/or from a small selection of conventional veggies from Grennessminde’s traditional veggie beds including a few edible weeds. Dressing the salads was also allowed. I and Aiah then gave short introductions to the concept of multi-species salads to the public and chefs. The chefs were given about 1 hour to make their salads. One trained helper was appointed to each chef to document what species they collected (and to give them a bit of help). 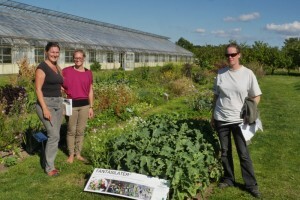 The Fantasy beds from which the chefs could compose their salads were only 5 months old – I had visited in March and the beds were newly dug bare earth – growth had been phenomenal – just look at the Daubenton’s Kale next to Aiah’s team!